Blog is a funny word. A lot of folks I talk to don’t know a blog from a frog. I learned this weekend that the lists of those that don’t know include my 76 year old mother. She can do email with help. I was having a conversation with my sister and my mom. It went like this. Sister: Mom, have you seen Rick’s blog? Mother: (after a few seconds of silence) Well, that’s a bizarre question. I guess I haven’t actually seen it in many, many years. Sister: I don’t think he has actually had one that long. Mother: What? Are you thinking that he just started developing one? This is embarrassing anyway, why would you ask me that? Sister: Well, I guess I just wanted to know if you had seen it. I was looking at it the other day and I really enjoyed it. Mother: Oh My God, what are you trying to tell me! And why on earth would Rick show you his blog! He doesn’t have any reason to do something like that! Rick: No mother, I don’t think you understand. Beth saw my blog on the internet. Mother: Well, My God in heaven! 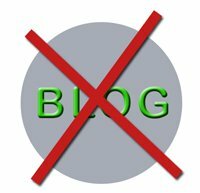 You put your blog on the internet! Why don’t you just walk around naked all the time so everybody can see your stupid blog! No sireeee, thank you, I don’t have any interest in looking at your blog! You just keep that thing in your pants, you’re not too old to spank you know! Rick: But mother, I’m 54 years old. Mother: Honey, NOBODY is interested in your blog anyway. Well, that’s true I guess. Using either meaning. But, how did she know that? I'm just now catching up on your blog. I haven't had a chance to read it in such a long time so of course I want to read all that I missed. As always I'm having hysterics reading your blog. Your comments are some of the funniest things I've ever read in my life. I don't know where your humor comes from but it must be a deep reservoir indeed.